FRESH graduate Lim Weison was determined to find something more than a regular office job last year after finishing his studies. So he turned his sights to Jurong Island. 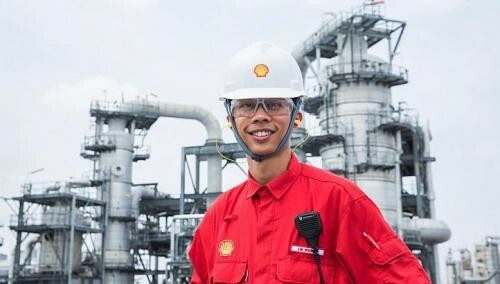 The 25-year-old plant engineer has been helping to maintain oil major Shell's petrochemicals plant for more than six months, and has not looked back. "I didn't want a desk-bound job after studying mechanical engineering," said the Nanyang Technological University graduate. "Working in a plant is a great way to utilise my engineering knowledge." He said that his father works in a process plant, and an earlier internship with Shell reinforced his desire to work in a similar environment. On top of site works, Mr Lim's responsibilities also include analysis and calculations for plant data. "It's an exciting and attractive industry," he said. Mr Lim is not alone in choosing to work on far-flung Jurong Island - 21km from Shenton Way - and says several of his university peers are working there. The stereotype of sweaty plant work has not put off many people, who are drawn to the petrochemical sector's bright job prospects and career progression paths. Of course, money has a part to play as well. The median salary for fresh university graduates in 2012 was $3,050 - meaning that half of them earned at least that figure. But the figure was higher for graduates of courses linked to chemical engineering, at $3,250 to $3,275. Many graduates with training in chemical engineering join the energy and chemicals sector. Singaporeans can continue looking forward to good job opportunities in the sector, said Mr Eugene Leong, director for energy and chemicals at the Singapore Economic Development Board. "The sector has seen a significant number of new investments and new job openings in recent years due to the expansion of existing facilities or new cracker downstream investments," he said. "Almost 2,000 jobs were created in 2012 to 2013 and more than 1,500 new jobs are estimated in 2014 to 2016. "These (new jobs in 2012 to 2013) have largely come from higher value added projects."